While there’s plenty of modern hustle and bustle in Tokyo, one of my favorite places I visited was the Ueno district, which is home to the famous Ueno Koen. 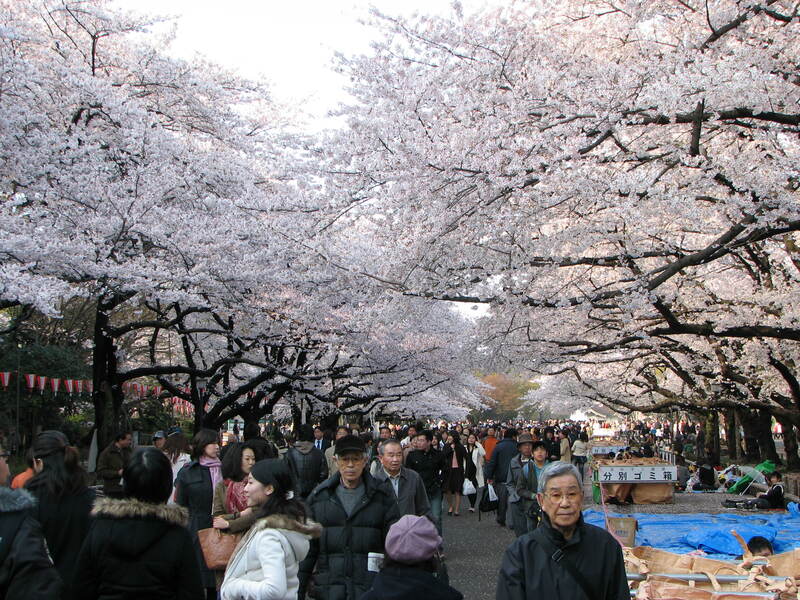 This park is one of the largest and most popular in Japan, with thousands of visitors showing up every year for the springtime tradition of hanami, or cherry blossom viewing. There’s more to the park than just flowers and trees, of course; Ueno Koen is of significant historical importance, as it was formerly a massive temple complex called Kan’ei-ji, originally founded in the 17th century. However, it was also the site of the Battle of Ueno during the Boshin War, during which the Imperial Army waged war against the remnants of the Tokugawa Shogunate. During the battle, the temple and many of its buildings were completely destroyed, the land seized by the Imperial authorities, and in 1873 a park was established. Among the park’s attractions are monuments to those who died during the battle on both sides, statues of famous individuals like Prince Akihiko and Saigo Takamori, and some remnants of the original Kanei-ji temple complex, like its original pagoda. There are also many shrines, including one to Tokugawa Ieyasu. The park is fascinating in this regard, as there is a blend of modern and historical aesthetics, and all of the features are also highly informative. I myself learned quite a bit from my trip there. One of the most striking things I saw there was the remnants of the Ueno Daibutsu. Daibutsu are massive statues of Buddha, usually seated, and there are many famous ones, such as the one in Nara. The Ueno Daibutsu was built in 1631, and had been restored many times after being damaged by earhtquakes, fires, and war. However, in the Great Kanto Earthquake of 1923, the head fell off, and the statue was severely damaged. The rest of the statue was melted down for use during World War II, and now only the face remains. There’s one thing that really draws me in about Japan, and that’s that while much of the traditional culture and architecture has been lost over the years, particularly to war, there are still many examples that stand through it all, or have been restored. The face of the Ueno Daibutsu is fascinating because it puts into perspective just how large the original statue must have been, and it’s nice to see that some part of it still remains. 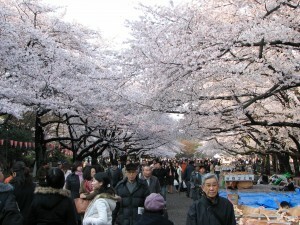 Ueno Koen also has a modern aspect to it, as there are many museums in the area. In particular, I saw the Tokyo Metropolitan Museum of Art, and the University Art Museum. The art was truly amazing, some of the most striking and unique work I’ve seen in quite some time, and it was very interesting to see how commentary about society and culture had made its way into the modern art scene. Themes of war, social struggle, life and death, as well as many others were present, and it was a refreshing look at how the art students of the university put their world onto canvas. This was particularly fascinating because it’s a side of Japanese culture that never really makes it to the Western mainstream, and it just goes to show how varied and different Japanese art can be. Overall, the Ueno Koen is a truly unique and interesting park, with both old and new attractions and several slices of interesting history. My visit was fascinating, but I wish I had more time to see the other museums, as there were at least three or four others I didn’t get to visit. Hopefully I can hit them up next time and delve even deeper into Ueno’s history and culture.